As a plumbing contractor you like to keep your business fairly simple. When a homeowner has a problem with their plumbing system you explain to them what their options are and how much it will cost them. 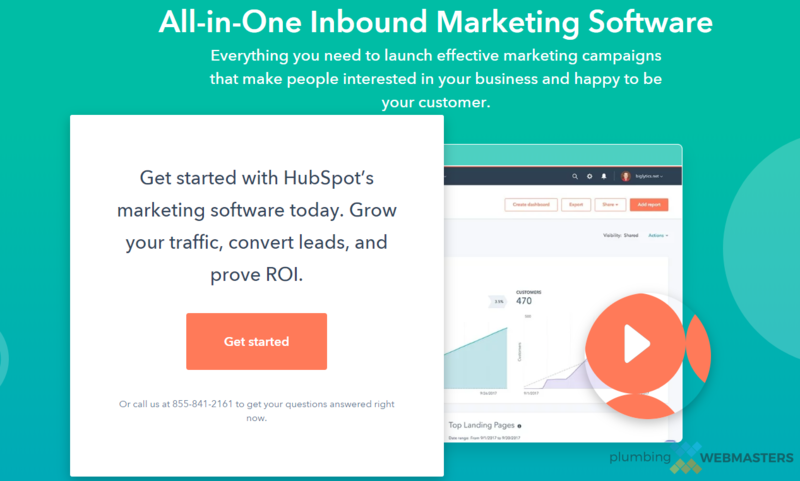 Web marketing agencies are not as humble. The vast majority of them behave as if they are on a superior intellectual level to their clientbase. Just because they know more about search engine optimization does not make them a rocket scientist. Common logic still applies to SEO just like it does with plumbing and any other kind of service industry. 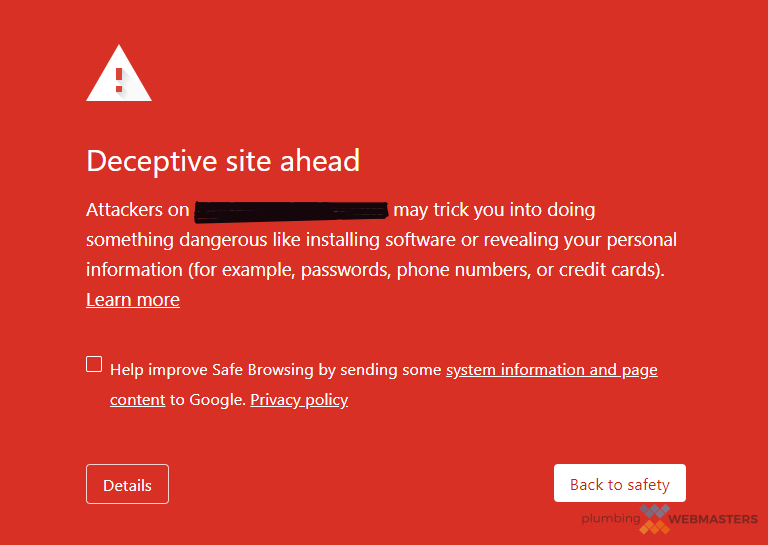 The arrogance of marketing companies in 2019 can be known as web geek cocky. It’s part of their schtick to be arrogant. It’s almost like a defensive mechanism. They understand that the work they are doing is nothing special and so they have to oversell it to make it seem more valuable. You might think that using big words that don’t really meant anything will not impress a plumber or any business owner for that matter. But people can be swayed by the illusion of expertise. When marketers appear as if they possess rare knowledge they are sometimes able to convince a client to buy in. It’s not the fault of the client if they fall for the trick but it something that plumbers should be aware of when they are looking for help with website design or SEO. 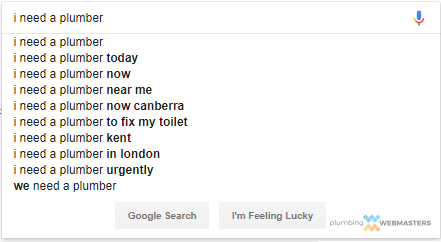 Just like plumbers won’t act as if they are the only person on earth who can perform the service, SEO experts should follow suit. There’s a culture of talking down to clients especially those who work in the home service industries. These marketers try to pretend their work is unattainable by the common man. While web design and SEO do take specific skill sets at the end of the day it is merely a service that a bunch of different companies can offer around the country. In an age where plumbers are looked down upon by arrogant fools in the marketing industry, a straight shooter becomes a breath of fresh air. What if someone who could relate to your business challenges was also the person creating and implementing your marketing campaign? That is the case with Plumbing Webmasters. Owners Nolen & John come from humble beginnings and were once home service providers themselves. They started their own web company after being talked down to with web geek cocky nonsense. 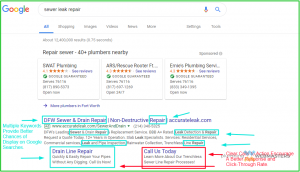 If you are a plumber currently looking for SEO services there are some red flags you should consider during your research. If a company starts speaking in empty language (using words that don’t mean anything) you know you’re in trouble. This web geek is probably cocky. They think they can trick the common man into overspending on services they don’t need. 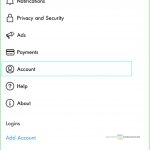 Many such marketers will get you involved in the shell trick scheme where they take SEO money and use it on PPC. Steer clear of these egomaniacs. They have done enough damage to the country already. Especially the common hard working American who is the foundation of our economy. Plumbers can relate to the owners here at Plumbing Webmasters because they lived the same experience. 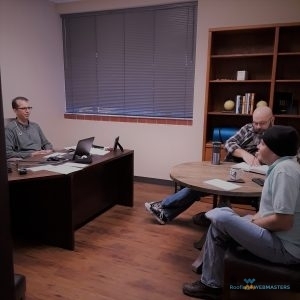 Having once been a home service provider company themselves they transitioned to SEO work because they couldn’t find another company that wasn’t unpretentious. It’s almost like shopping for a doctor. They are mostly arrogant people who think because they went to medical school that they are a God like figure. The problem is even more absurd with web geeks though because the work is not dependent on a decade of high-level schooling. 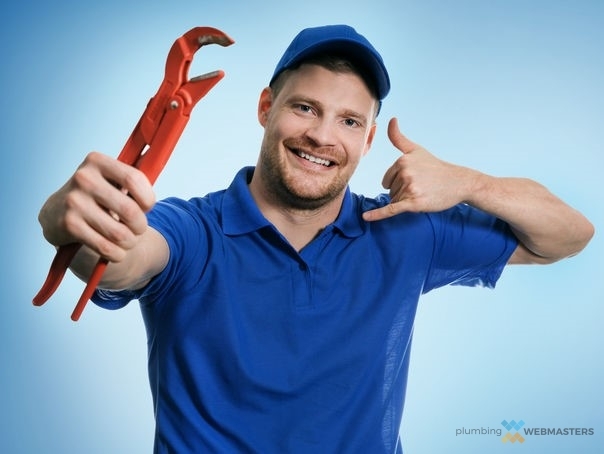 At the end of the day, Plumbing Webmasters is a web marketing company run by relatable people. You can trust that our hundreds of clients are enjoying our professional-level design and SEO services, without the web geek cocky. Today’s podcast episode discusses how to start a successful plumbing company. Plumbing Webmasters is a digital marketing agency so our advice will heavily favor marketing strategies. We will not delve into the specifics of legally starting a business including the necessary tax considerations. Depending on your location, your tax considerations will vary. To learn more about starting a business from a legal perspective, check out the Small Business Administration. Our expertise, which is marketing for plumbers remains the most important element of starting a successful business in 2019. A website with deep dive content and service pages has a great chance to optimize online both on organic results and Google Maps. Furthermore, visitors who reach it have a great chance of converting into a paying customer. A website serves as the digital representation of your plumbing company and can help it maximize your potential. Deep dive content that goes for specific services like hose bib repair can have you ranking quickly. 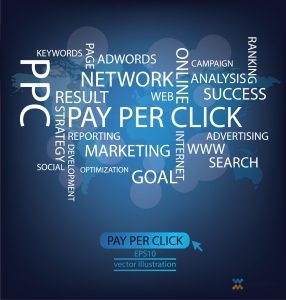 Every business needs leads to grow and plumbers can get them through long tail keyword searches on Google. Volume may be lower at first, but as your site ages, you will begin to rank for the more competitive keywords. Get yourself listed on every business directory of note. None is more important than Google My Business which serves as the central hub of your local SEO efforts. 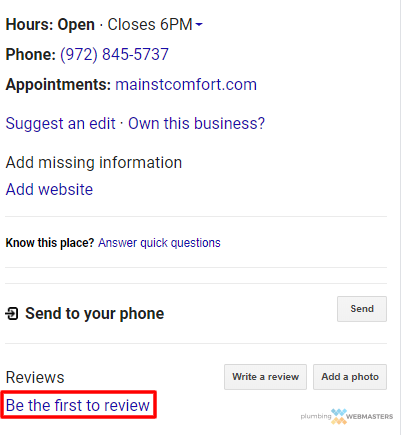 Through connection with your Google Maps listing, you will begin to show up on the Local 3 Pack for relevant keyword terms and earn trust from consumers with your aggregate star rating. Few if any local customers will do business with a plumber who does not have an established reputation. Generating more reviews is a process in itself, so you should plan to market your business in that way as well. 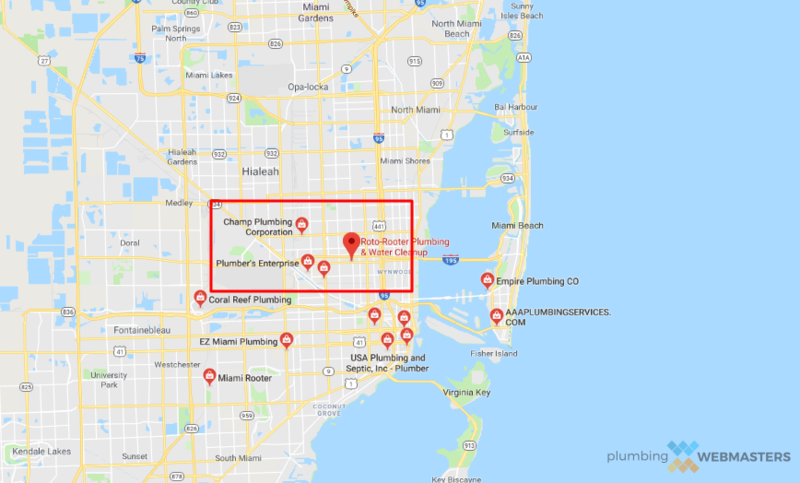 Google My Business is imperative to SEO success for plumbers. The best thing a brand new plumbing company can do to get started is market all day, every day. Even if that means doing door knocking for several hours per day or leaving business cards in mailboxes. 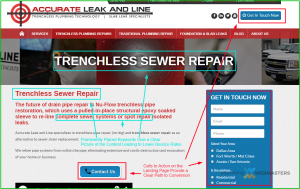 There’s only one way to grow a plumbing business and that’s with leads. By attracting new clients you will start to build a customer base at your foundation. From there you can invest more into marketing and focus on higher end promotion that will take you to the next tier of plumbers in your area. Tenure is important online and in the real world so the process of establishing trust and authority should be progressive. Check out our top 50 plumbing keywords for primary targets. Today’s episode will discuss how lower volume keywords can still yield significant ROI while straightening the overall health of your website and supplementing your top keywords. Many plumbers question whether pages for services like hose bib replacement are worth their while. 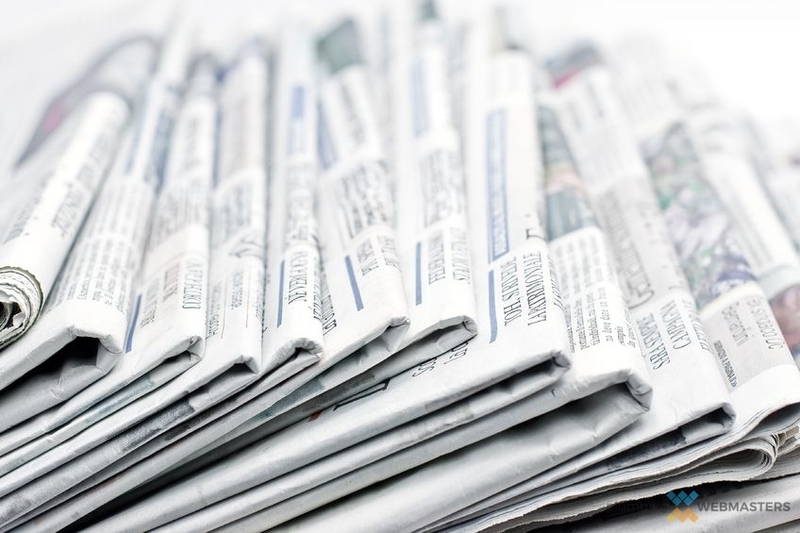 Even more common services like toilet repair seem to be met with skepticism by plumbers as it pertains to publishing a webpage exclusively about that service. 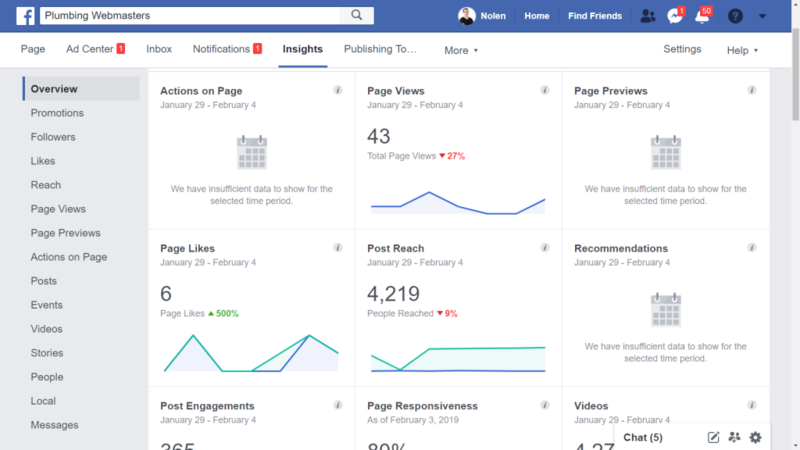 The truth is that these pages can convert well and yield a great return on investment. They are particularity valuable for websites that are recently launched, as ranking for main terms will take longer than most are willing to wait. Lesser known keywords will rank quickly and can get you plumbing jobs while you wait for SEO to take its full effect. Americans spend more time on Facebook than they do eating. 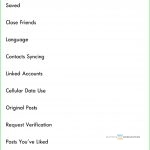 It is estimated that most U.S. residents check Facebook 15 times per day on average. 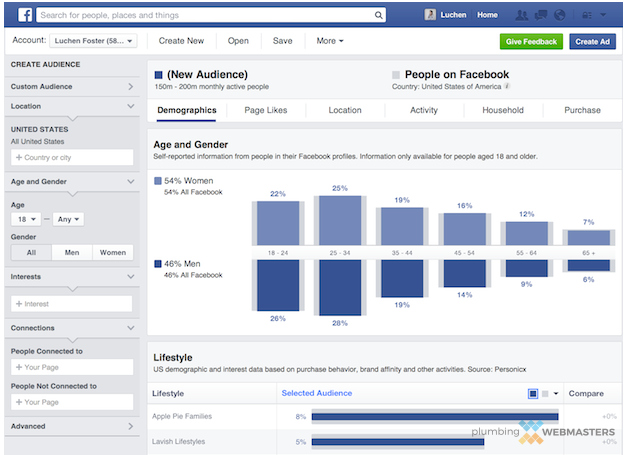 Facebook pixel tracking allows your website to advertise to users who’ve already visited your site as they browse Facebook. 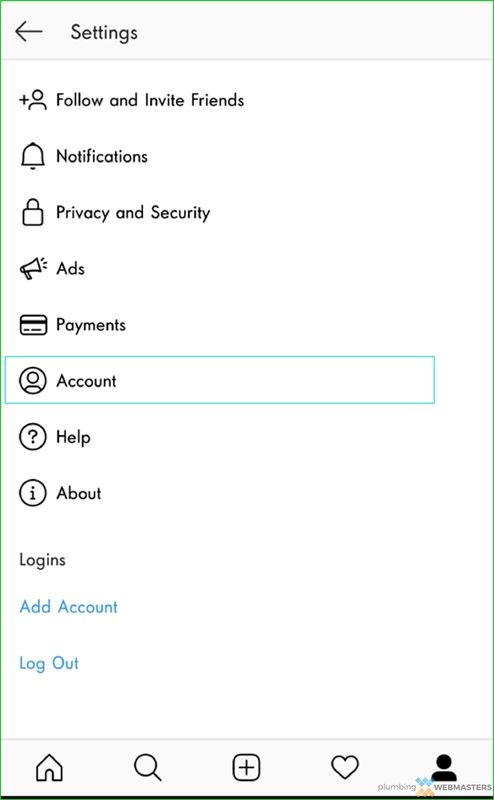 Cookies are stored in their browser (Chrome, Firefox, Safari, etc.) 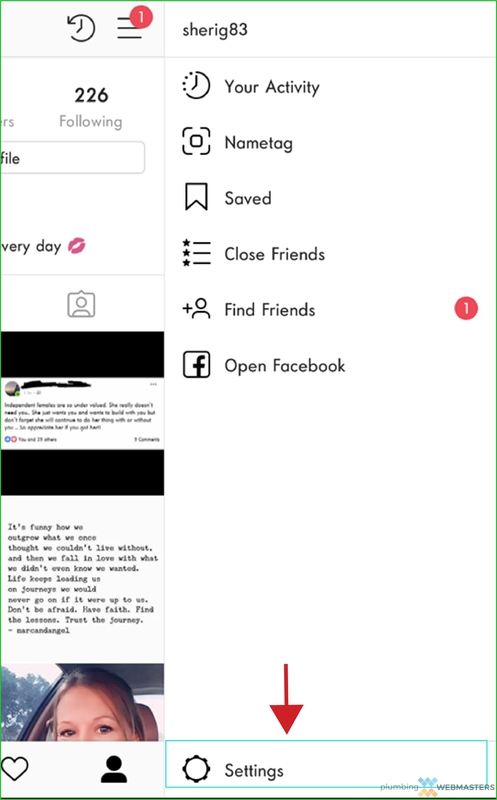 when they visit, and then are pulled when they log onto Facebook. 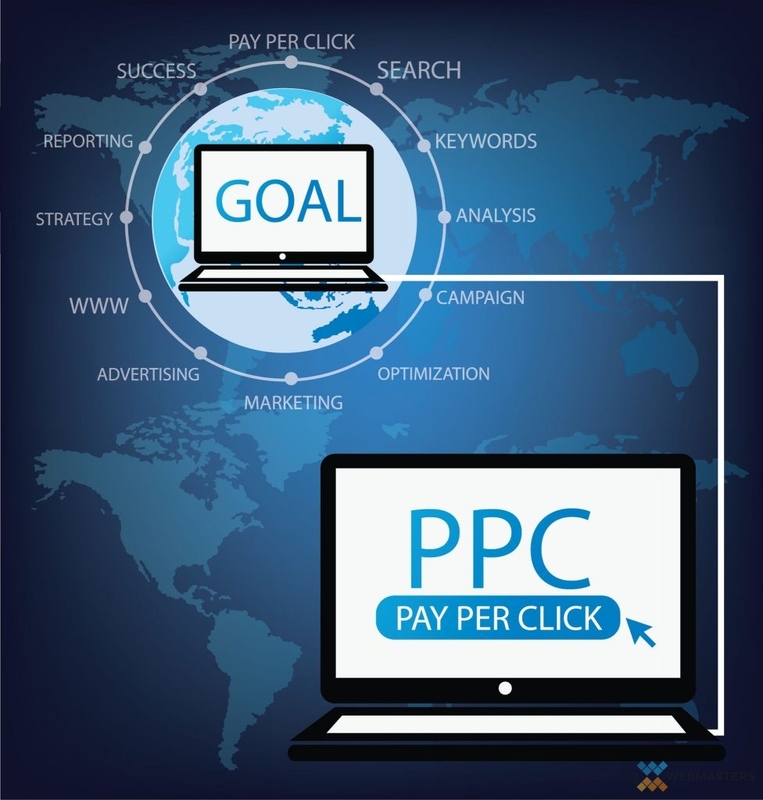 Pixel tracking typically improves conversion rates from around 3% to around 15%. Best of all, pixel tracking is relatively inexpensive but highly effective. 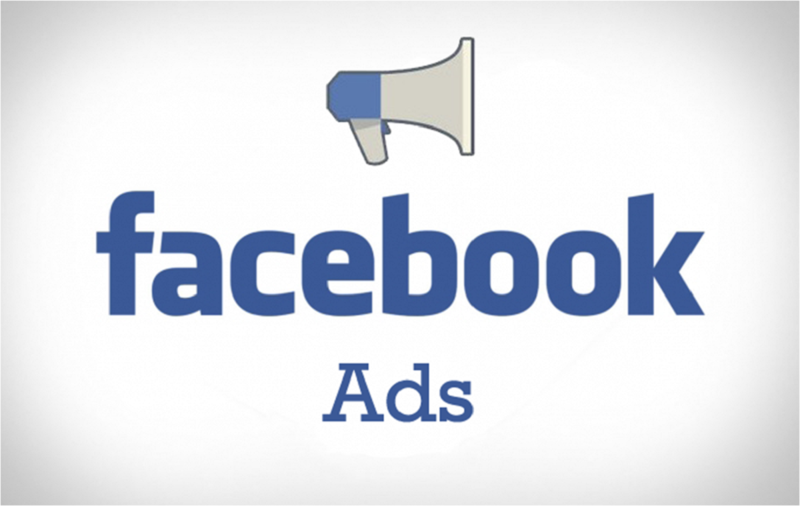 Like Facebook, Google allows for advertisers to track and then follow visitors of their website. 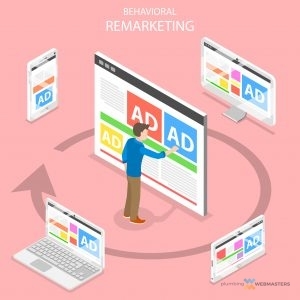 Remarketing ads from Google are the same fundamental concept as Facebook pixel tracking and are even less expensive. Why? 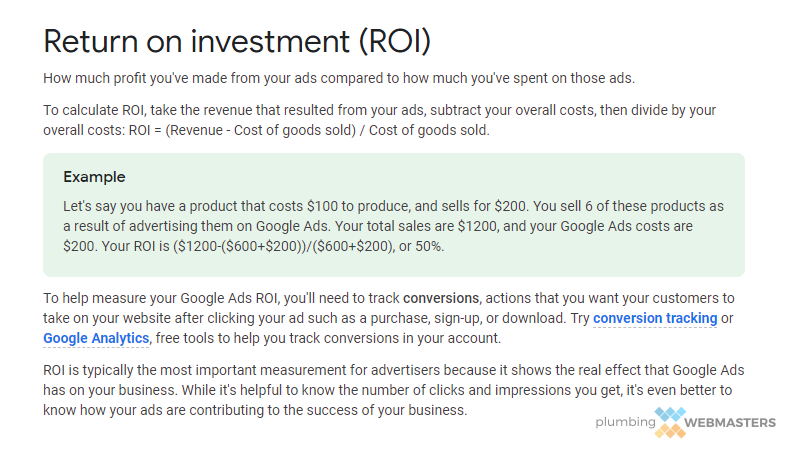 Because Google doesn’t actually charge a fee until the remarketed ad gets clicked on. 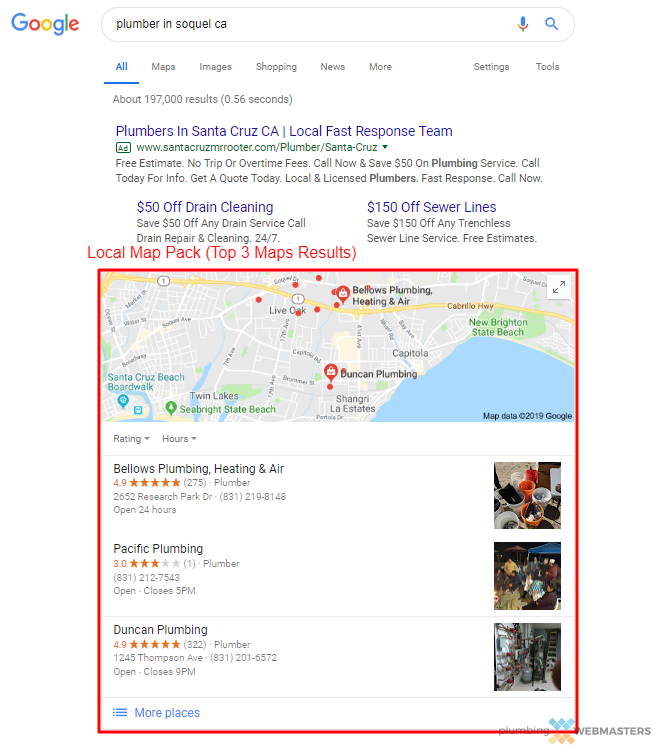 Remarketed ads appear on all kinds of platforms in Google’s display network. It could be anything from Accuweather to a tutorial blog post. Let’s say that a potential customer thinks they can fix the plumbing job themself, but then finds your ad on the how-to manual. They might reconsider. 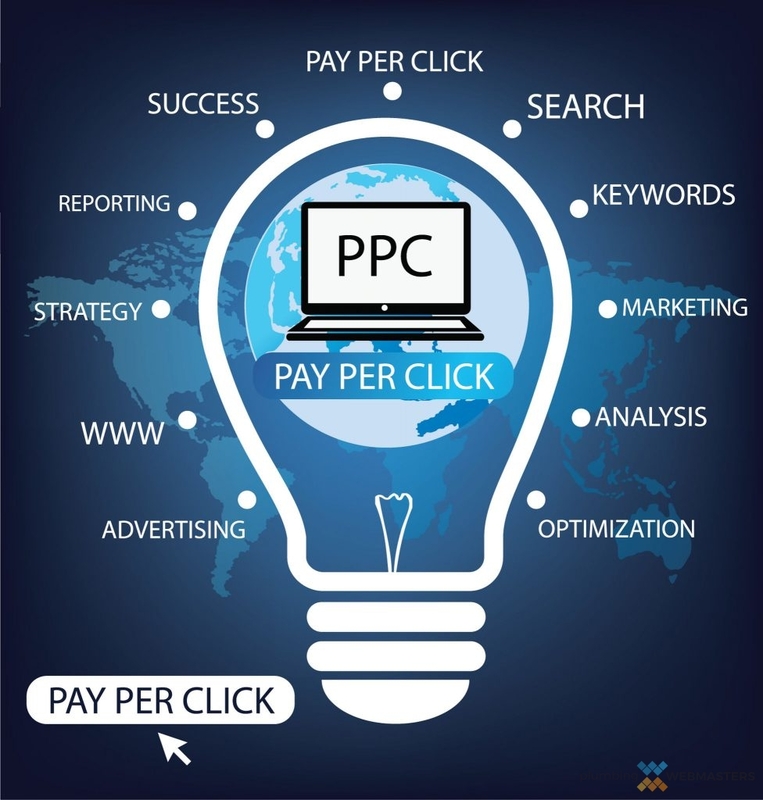 Once known as Google AdWords, the now named Google Ads is still one of the most effective ways to advertise your plumbing business online. Because it can be expensive and requires a level of expertise to properly maximize, there are some who have grown frustrated with it as a platform. 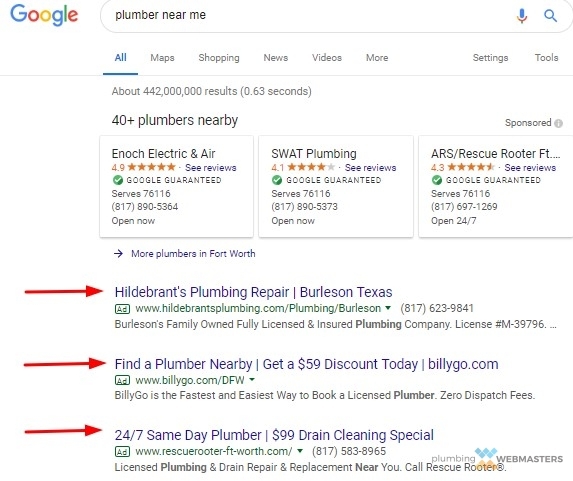 Still, if ads are properly targeted and campaigns are managed by experts who have an understanding of demographics, targeting, and ROI, plumbers can really clean up with Google Ads. 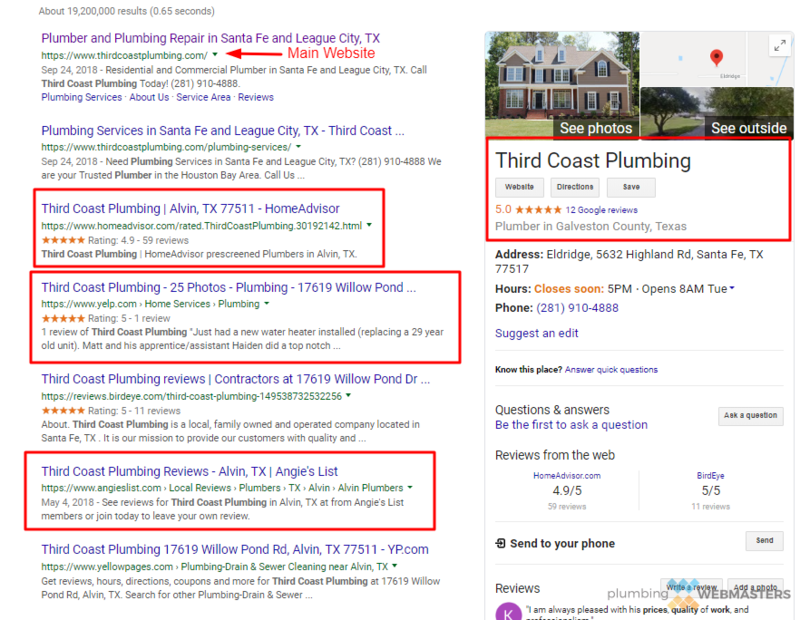 Depending on what city you are looking to target for plumbing jobs, Google Ads may be less expensive than you think. In any case, make sure you hire an AdWords certified manager. Like Google Ads, YouTube ads can target specific demographics. As the number one platform in the world for streaming video, YouTube is unsurprisingly a highly frequented domain. 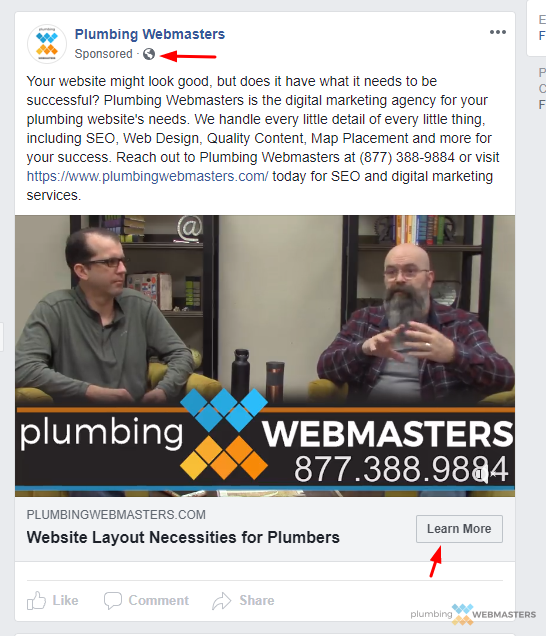 Investing in plumbing ads on YouTube can ensure that video watchers in your target area see your company promotions on relevant videos. 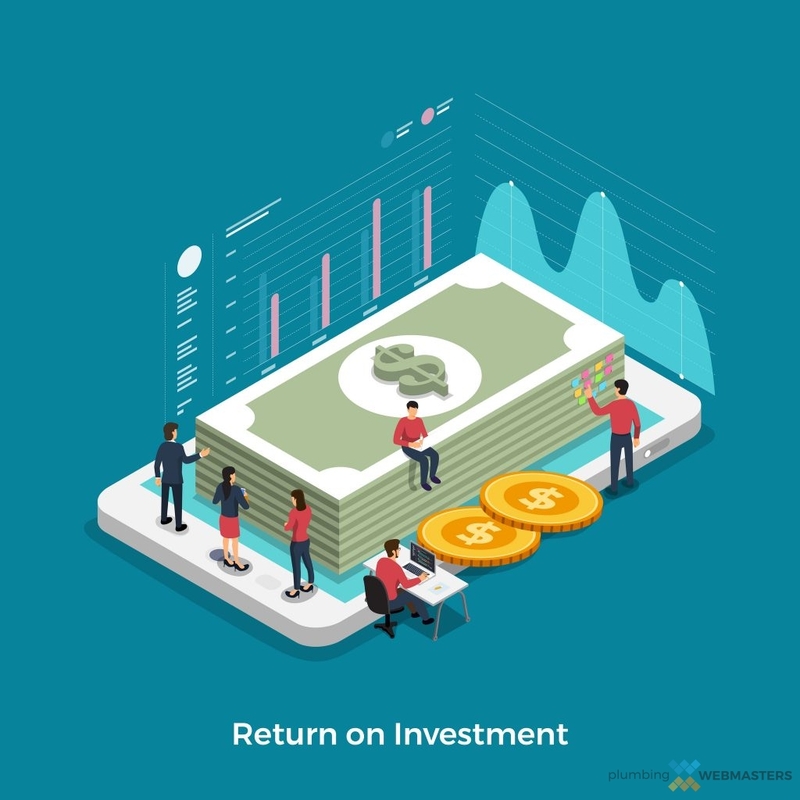 While the ROI is typically less significant than that gained through Facebook and Google, it is still enough to pursue the venture with open eyes. What can enhance your ability to advertise on YouTube is by creating a video channel for your brand and even posting video content. 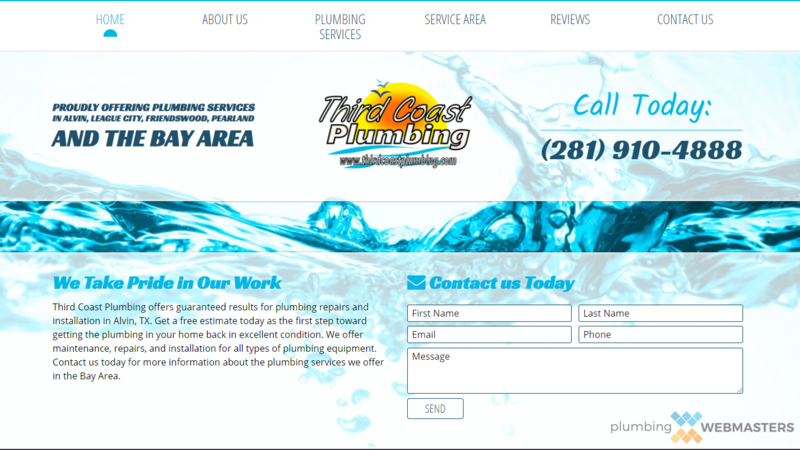 SEO remains the most efficient way to advertise a plumbing business online. Some would disagree with this sentiment and for good reason. 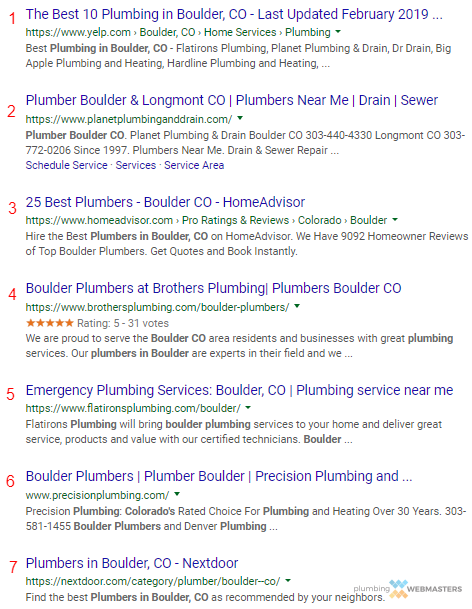 These plumbers have been screwed over by shady SEO firms who overpromise and underdeliver. This unfortunate combination has given the SEO industry a negative connotation amongst many in the service industries. The facts are unbothered however. SEO is affordable and sustainable which are the two most important components of any advertising campaign in 2019. Make sure you invest in a trustworthy SEO company and one that specializes in your niche, which for you is plumbing. Design is important for conversion and personalization. Plumbers advertising campaigns don’t end until a visitor is actually converted. Design goes a long way towards making that happen. From clean codebase and pertinent calls to action, design elements can close the deal on behalf of plumbing companies. Web design also ties in with SEO so it can actually help generate more leads which makes it even more potent from an advertising standpoint. Aesthetics are a big part of trust building, so make sure you website is visually appealing. Part of strong design is clean codebase. Template websites use obtrusive elements that bog down site speed and hinder SEO potential. The good news is that custom websites often have clean code that has the opposite effect in speeding up your website and improving SEO. 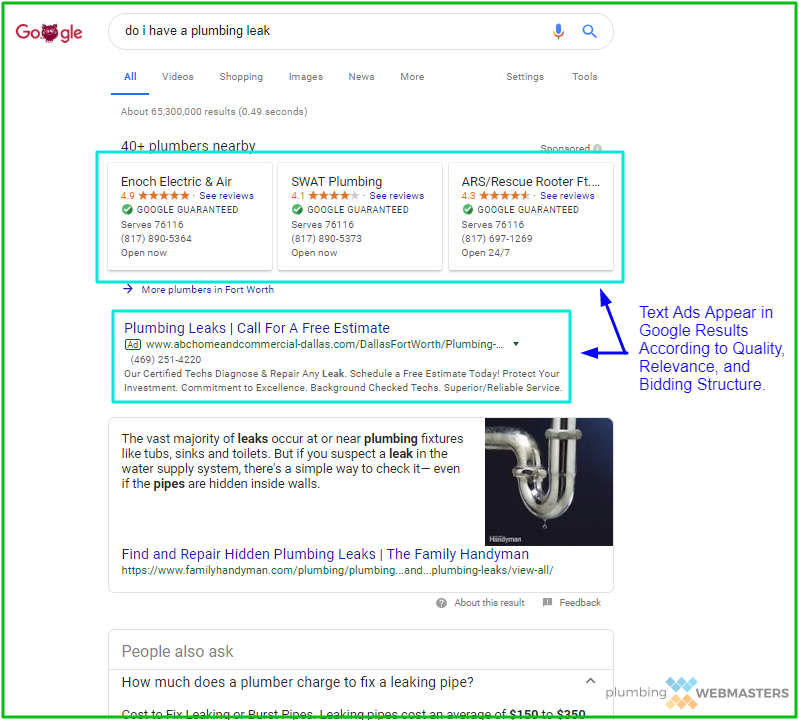 Not every designer will be trustworthy however, so doing your due diligence is highly recommended if you are serious about ranking for top plumbing keywords in 2019 and beyond. Part of codebase is schema markup, which is a microdata tag language that helps Google parcel data. 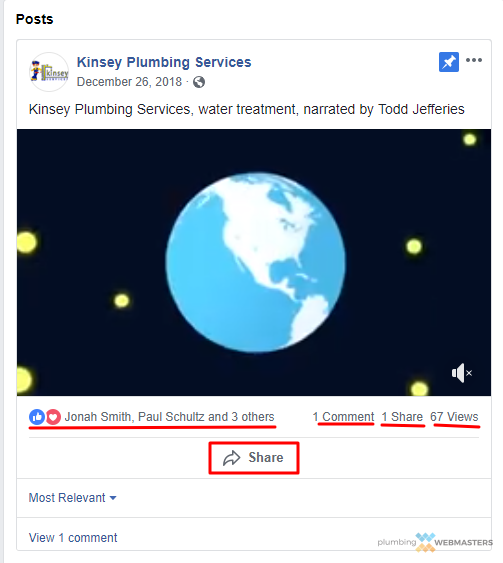 Promoting plumbing services is not really possible without quality content. This can come on a multitude of different platforms and in various mediums. 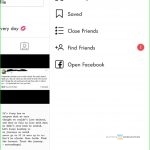 For example, videos are content but so are blog posts and so are service pages. Google lists their quality guidelines and calls for unique, valuable, and engaging content to separate your website from others. Prospective clients are not looking for a novel about pipe repair, but they would like to know the specifics about why your services are worth something to them and how they display true convenience. Your GMB profile is your most important citation and essentially serves as your Google homepage. It is as close to as valuable as your primary website as any other branded web entity. For this reason, the GMB listing should be completely optimized. This includes original images, Google posts, and Q & A sections with informative answers. Don’t forget about hours of operation. When customers leave reviews, be sure to respond to these reviews and do so in a professional manner. 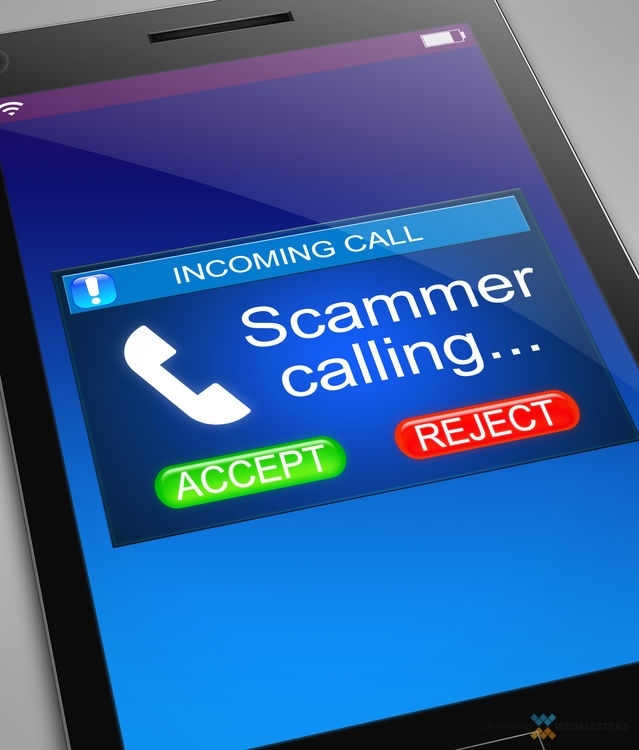 Potential clients will want to see that you take complaint seriously. 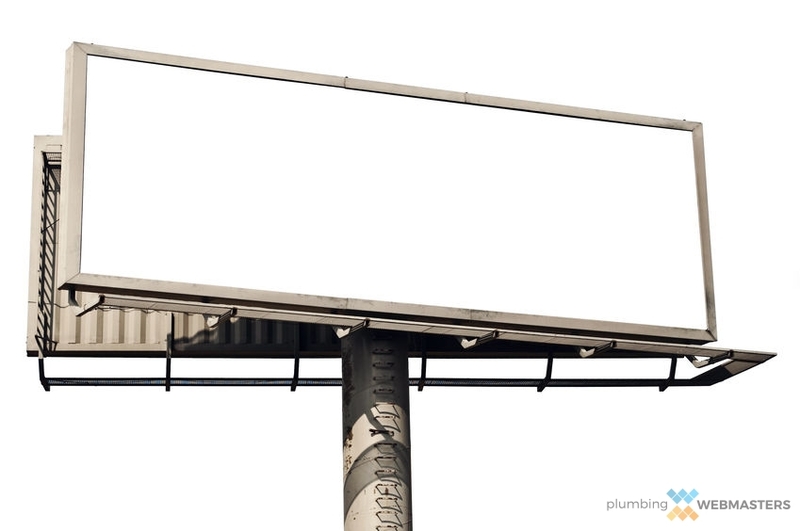 Plumbers can list their business on several directories throughout the internet. These listings are known as NAP citations. 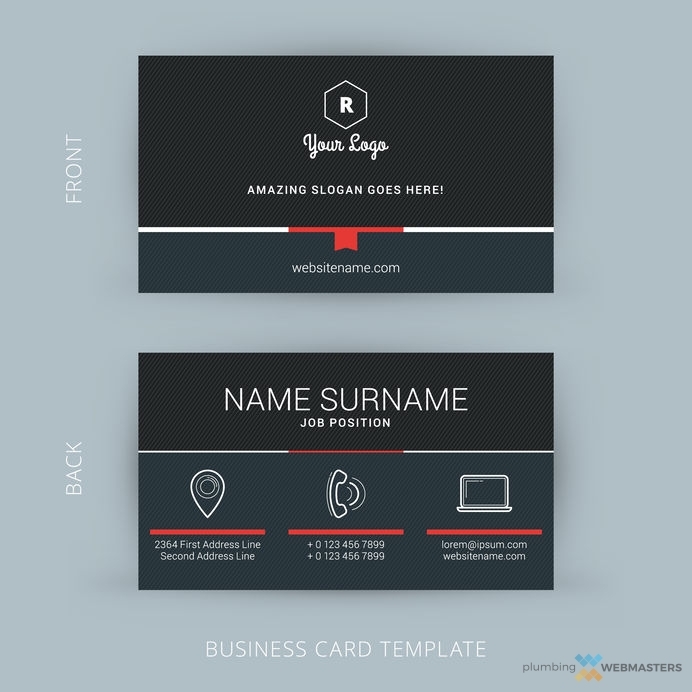 The most important information is your company’s name, address, and phone number. Google scans this info in the aggregate, meaning consistency and uniformity are important. 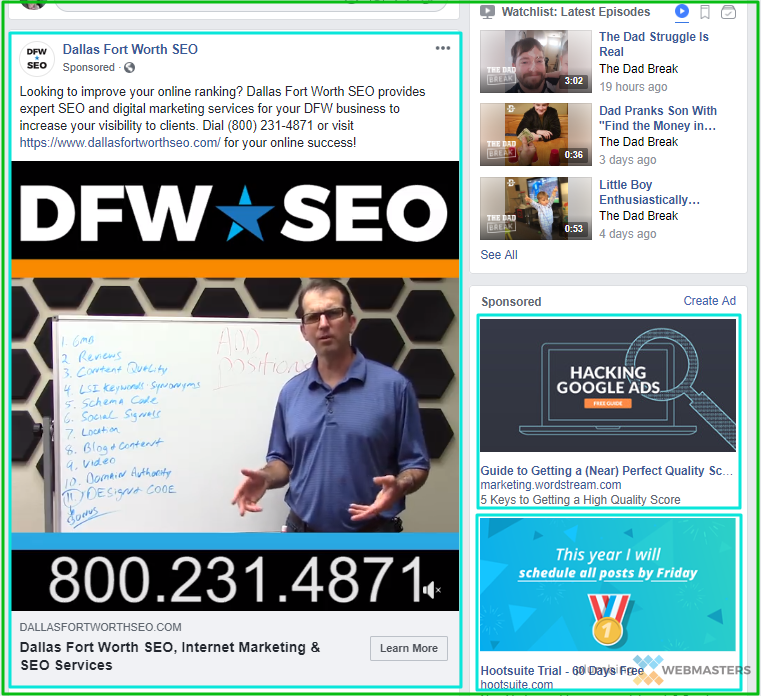 Sure, you can also get calls off of these listings, but their real impact for promotion is that they collectively drive up your brand recognition and improve search rank. 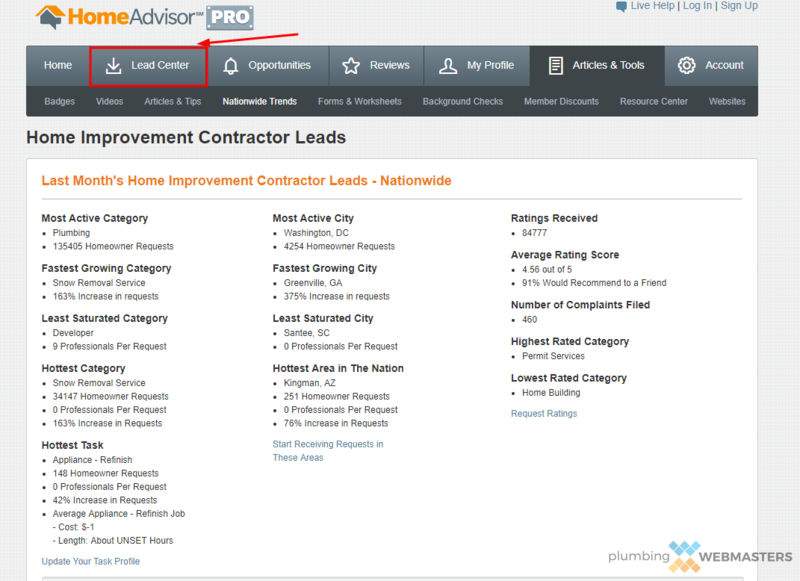 Yelp, HomeAdvisor, and Angie’s List are three of the most important for plumbing companies. 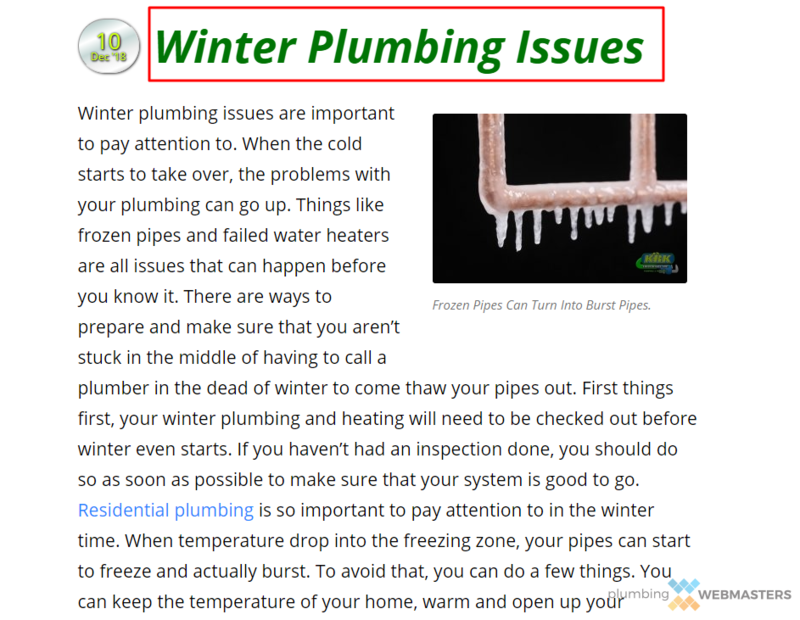 Blog posts keep fresh content circulating on your plumbing website but can also serve as advertising assets if they target the proper keyword terms. Posts are considered shareable content and can go viral as well as rank on Google search. 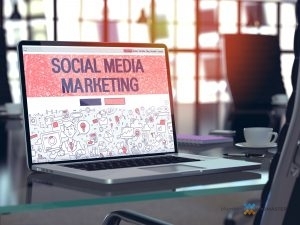 Some posts can even rank years later and end up driving traffic to your business because of a recent event in the area. For example, a post about frozen pipes might suddenly ascend during an ice storm. The more quality content through blogs, the better chance of leveraging them for advertising. A website shouldn’t remain stagnant for years. Since Google is always evolving, as is the needs of consumers, websites should continue to evolve along side of them. Site updates can make sure that this process is ongoing and can also prevent any connectivity errors with the server. Redesigns are also a part of sustaining online ranking. What was considered modern 5 years ago is now looked at as obsolete. Plumbers must always be looking for the next best way to market. Updating pictures and client requested changes are other things to consider in 2019. Plumbers can advertise through podcast episodes. You might think of podcasting as something for celebrities, but that is not the case. Many “regular” people start podcasts and generate a major following. The reality is that consumers want to be able to relate to the podcast host. People interested in plumbing will be interested in episodes about specific plumbing services. These podcasts can also improve your web presence, social media signals, and overall SEO. Scope inspections make for a good topic to discuss, either through podcast or video. SEO content has changed again. Plumbing companies now have to write longer form pages. Google favors content length when all else is equal. 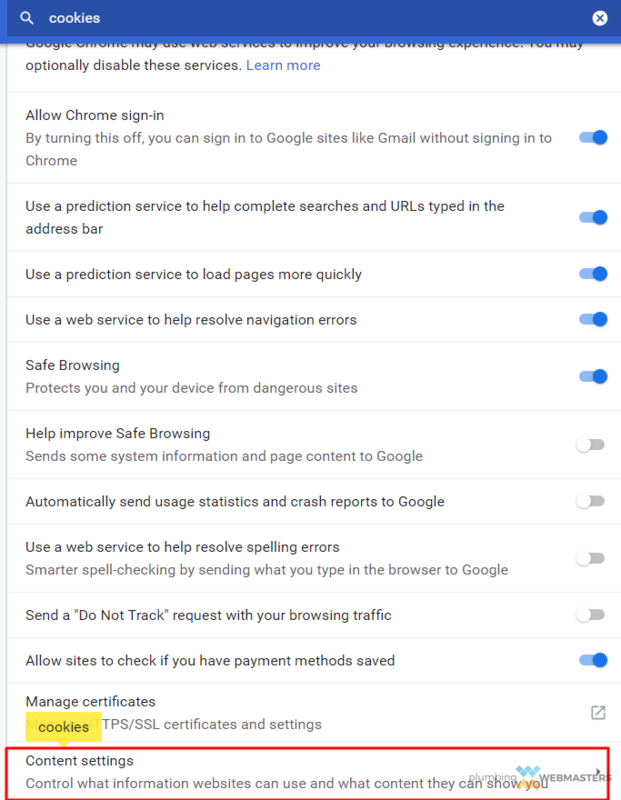 Sure, you still need quality, readability, and uniqueness, but what Google really wants is detail. Part of great content is LSI keywords which can be found on LSIGraph.com. 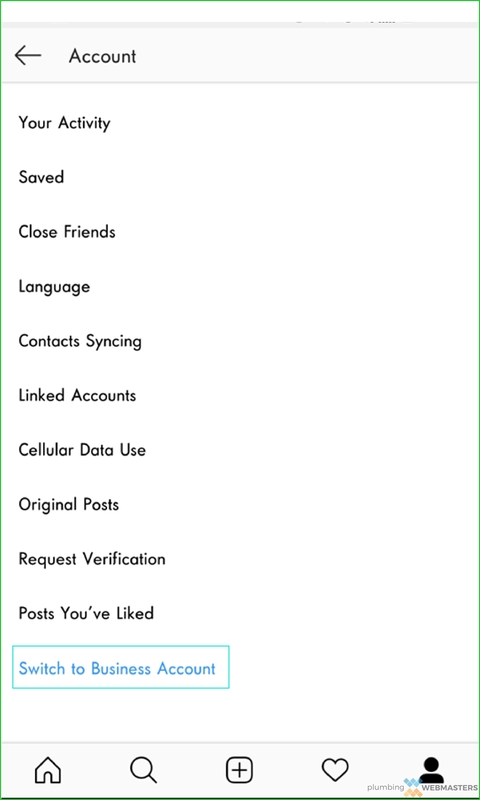 Just type in your primary keyword and see terms that are topically related. You can then use some of the best looking LSI terms to supplement your writing and make it more diverse. 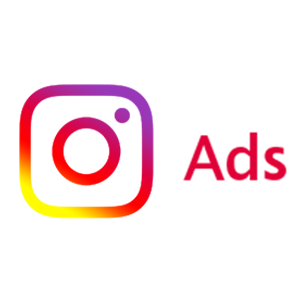 We are the top digital marketing agency for plumbers but even in our case, there are certain things clients can do better than us for internet promotion. One of those things is review generation. We can provide the tools to make reviews convenient for your customers but you have to ask for them in person. Learn about the other things that you as a client can do better than us. 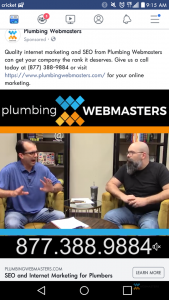 If we work together, you can dominate SEO for plumbers in 2019.